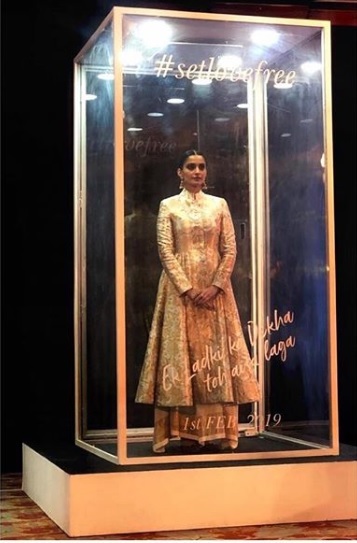 Hold your horses, you guys, Sonam Kapoor is fine, only voluntarily locked in a clear glass box to promote her upcoming film, Ek Ladki Ko Dekha To Aisa Laga. But now that you are all calm and composed and have our undivided attention, let's get to the matter at hand, shall we? Sonam Kapoor recently stepped out for her to-be-released film's promotional event (or should we say stepped in? 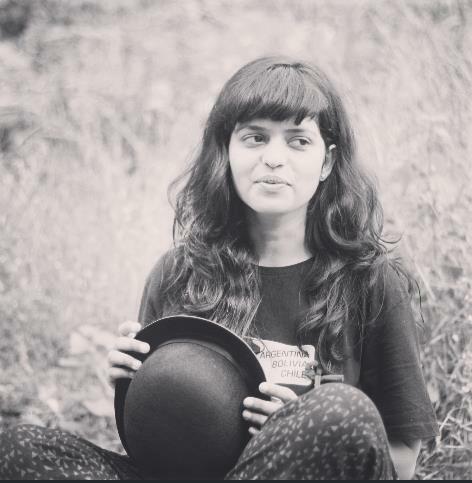 ), and as per custom, the fashion-forward IT-girl made yet another style statement. Now it's given that words fall short when it comes to describing B-Town's favourite fashionista's sartorial style- she's chic, smart, fashionable, stylish and well, she's is all that! But this latest outing definitely added another proverbial feather in the actress's cap. 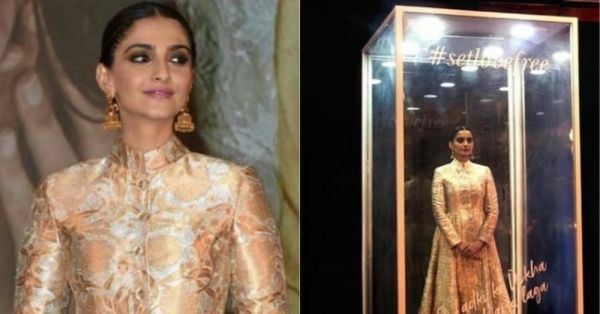 Clad in an ethnic ensemble and posing perfectly in a clear glass box as a part of her movie's promotions, one could mistake Sonam Kapoor for a very, very striking mannequin. This girl sure knows how to strike a perfect pose! But adding flair to her posing skills was her oh-so-perfect OOTD, a balanced amalgamation of the traditional and the contemporary. Pulling out all the stops, the senior Kapoor sibling wore a flared Anarkali with a woven gold floral pattern on an off-white base. Giving a slight twist to her look, as one would expect Sonam Kapoor to, the Bollywood actress teamed her flared attire with a white and gold skirt. If you are planning on attending some upcoming weddings in the not too distant future, we suggest you take out your notepads and start taking some serious fashion notes! On the makeup and accessories front, the fashion diva opted for some ornate gold offerings, read jhumkas and rings, that complemented her outfit flawlessly. Pink-toned lip colour and smokey eyes were the order of the day for her exemplary makeup look with the gold outfit. As for the hair, the Bollywood actress chose to wear her locks in a sleek updo for the outing, truly making for an all-around exquisite look on all fronts. What you might be hearing RN ladies, is the general applause for this diva. You go, girl!